Kings took control of coastal maritime traffic in Norway as early as the third century, long before the Viking Age. Discoveries from the ancient royal residences offer new proof. 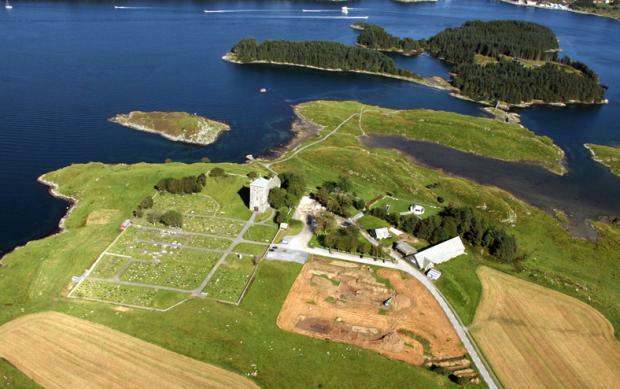 The remnants of a large longhouse and two boathouses from the Iron Age are among the many finds reinforcing the theory of an early, wealthy centre of power at Avaldsnes on the west coast of Norway. Avildsnes Royal Manor Project aims at investigating the emergence and growth of royal power in Norway, which as the country’s name still indicates, was closely linked to control of coastal traffic in Europe’s far north. “The new discovery of buildings shows that control of the coast was probably established in the 3rd Century. 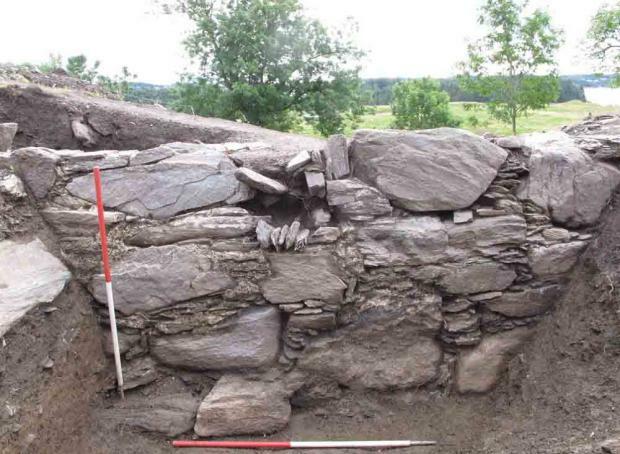 It lasted until the 6th Century,” says Archaeologist Dagfinn Skre. Large, conspicuous buildings are clear signs that sea traffic was controlled from here as early as in the 3rd Century. Discoveries made in 2011 bolster this theory. Skre and his team excavated a great hall for the king and his warriors. “This is where they held feasts and ritual meals. The building was clearly visible from the sea and showed off who had control of the sea route Norðvegr, the main sailing route to the north along the coast," says Skre, who is a professor at the Museum of Cultural History in Oslo. Skre and his team of researchers are getting used to digging up prehistoric revelations at the idyllically situated, former royal manor in Rogaland County. Earlier this year they uncovered a 1.3-metre-tall basement foundation constructed in stone, which proved to be from a royal manor in the High Middle Ages. This discovery was sensational. No uncharted royal manors in stone have been discovered in Norway for over 100 years. “The rock wall is from around the 1300, which is a pretty secure dating. So we think the basement foundation is a remnant of the royal manor house erected by Håkon V,” says Skre. King Håkon Magnusson lived from 1270 to 1319. Avaldsnes had been a royal manor site earlier but its buildings were then of wood. A Norwegian king of the Viking Age and the Middle Ages would have several manors from which he could reside and rule at any given time. “We have certain documentation that Avaldsnes was the property of the king and functioned as one of many seats of rule, at least by the year 1000,” says Skre. Just a few metres from the stone foundation the archaeologists found an older yard with artefacts and traces of buildings that date to the lifetime of Harald Fairhair, the first king of Norway. Fairhair earned his name when he vowed not to cut nor comb his hair until he was sole king of of the country. The discovery of the old yard and buildings give credence to the Icelandic poet and historian Snorre Sturlason’s claims that Avaldsnes also was a royal manor for Fairhair. “However, it doesn’t provide all documentation and there will always be some room for doubt. I consider it probable that Fairhair also used Avaldsnes as one of his royal manors,” says Skre. In an article summing up this year’s excavations, Skre writes: “We are rather overwhelmed by all we’ve discovered at Avaldsnes". Among the findings was a longhouse, in use from 200-500 AD. The longhouse was divided transversely into several rooms, all with different functions. A botanist is in the process of investigating the earth from the house’s stanchion holes. These will probably provide answers regarding the respective uses of the rooms. Currently it looks as if the southernmost room was used for grain storage, perhaps for hay as well. The middle room was probably residential. The house was demonstrably 30 metres long and eight metres wide, but its length could have been more than double this figure. “We know of houses of up to 70 metres long from this period, but we don’t know if the Avaldsnes house was that long,” writes Skre in his article. The stanchions or vertical beams that supported the roof are 74 centimetres in diameter and so large that they must have been transported to Avaldsnes from somewhere else. “This has been a wealthy estate with an aristocratic community, which wasn’t rooted in local resources,” continues the professor. Considering the amount of ship traffic that passed through the strait here, and its excellent protected harbour, Skre presumed there would have been boathouses somewhere at Avaldsnes. After searching for several years they were about to give up. But in the last year of current digs they found the remnants of two boathouses; the older one has an internal width of about eight metres and the younger one is a little narrower at five metres. Carbon-14 dating and discoveries of pottery show the first to be from around the 3rd Century AD and the younger one is from the 5th Century. Skre estimates that the boathouses were abandoned in the 6th Century. They are contemporary to the great hall and the longhouse, the first epoch in which Avaldsnes was controlled by kings. The latest discoveries include more than buildings. Traces of food production and handicrafts have been found at the so-called Paktertunet. Some 15-20 cooking pits from the 300s AD comprise the oldest of these finds. Researchers also discovered the remains of ovens, probably used for drying grain. Fireplaces with bellows have been found too, most likely from the 400s AD. “They probably forged iron here and might have worked with other metals,” says Skre. Recent discoveries include something curious and rarely found in Norway, burned bladderwrack – Fucus vesiculosus, a type of seaweed. This was unearthed in holes for vertical roof supports.